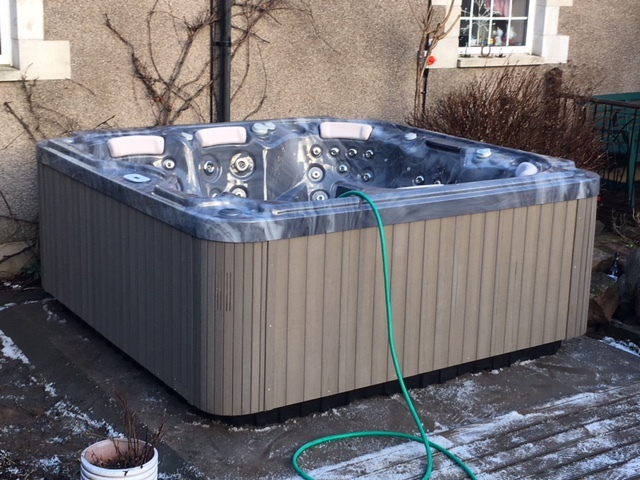 This was yesterday’s install in the Scottish Border town of Hawick. Still a wee bit of snow on the ground but that didn’t stop our install team getting the job done. 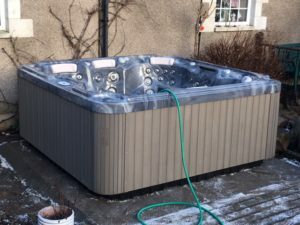 The Wellis Mercury is an award winning hot tub which was our best selling hot tub in 2016 and 2017. We have high hopes for the model during 2018 too. The spa boasts enough space for 6 people, including a lounger, 82 Jets, 2 Pumps, My Music Bluetooth sound system, Ozone, LED Lights and waterfall.